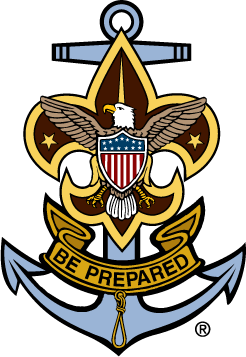 Find unit contact information at BeAScout.org, a website to help Scouting families find a pack, troop, crew or ship near them. Please notify the webmaster of any corrections or changes in leadership. Cub Scouting is a program for boys and girls in the first through fifth grades (or from ages 7 through 10) whose overall mission is to help young people build character, learn citizenship, develop personal fitness, and contribute to the academic development of the children who participate. Cub Scouts are part of a pack. The Cub Scout pack belongs to a church, a school, or some other group of people in the community or neighborhood. This group makes sure your pack has good adult leaders, a place to meet, and exciting things to do. The pack is divided into smaller groups called dens. Each den has about six to eight youth. All of the Cub Scouts in your den are in the same grade and may even go to the same school. Scouts BSA is available to youth who have earned the Cub Scout Arrow of Light Award and at least 10 years old or have completed the fifth grade and are at least 10, or who are 11, but not yet 18 years old. The program achieves the BSA's objectives of developing character, citizenship, and personal fitness. Venturing is a youth development program for young men and women who are 13 and have completed the eighth grade, or age 14 through 20 years of age. Venturing's purpose is to provide positive experiences to help young people mature and to prepare them to become responsible and caring adults. Venturing is based on a unique and dynamic relationship between youth, adult leaders, and organizations in their communities. Local community organizations establish a Venturing crew by matching their people and program resources to the interests of young people in the community. The result is a program of exciting and meaningful activities that helps youth pursue their special interests, grow, develop leadership skills, and become good citizens. Venturing crews can specialize in a variety of avocation or hobby interests. Sea Scouts is a specialized program for young men and women who are 13 and have completed the eighth grade, or age 14 through 20 years of age. The program focuses on water high adventure and personal development. Sea Scout units, called ships, focus on sailing and cruising either sailboats, power vessels or paddle sports. Youth in these ships sail, row, canoe, keep boats in shape, cruise the local waters of Galveston Bay or sail on long cruises far from home. Some SCUBA dive, but all are active in camping, social events, regattas and annual seamanship contests or rendezvous. Exploring is Learning for Life’s career education program for young men and women who are 14 (and have completed the eighth grade) or 15 to 21 years old. Exploring’s purpose is to provide experiences to help young people mature and to prepare them to become responsible and caring adults. Explorers are ready to investigate the meaning of interdependence in their personal relationships and communities. Explorer posts can specialize in a variety of career skills. Exploring programs are based on five areas of emphasis: career opportunities, life skills, citizenship, character education, and leadership experience. Fill out our career interest survey and we will notify you of open houses and when a new Exploring post is starting near you. Commissioners are district and council volunteers who help units succeed. They are available to coach and consult with parents and leaders of packs, troops, crews and ships. Please feel free to contact your commissioner anytime with questions. Commissioners help maintain the standards of the Boy Scouts of America. They also oversee the unit recharter plan and ensures each unit submits their charter on time with an optimal number of youth and adult members. A commissioner plays several roles, including friend, representative, unit "doctor," teacher, and counselor. Of all their roles, friend is the most important. It springs from the attitude, "I care; I am here to help, what can I do for you?" Caring is the ingredient that makes commissioner service successful. He or she is an advocate of unit needs. A commissioner who makes himself known and accepted now will be called on in future times of trouble. The commissioner is a representative. The average unit leader is totally occupied in working with kids. Some have little if any contact with the Boy Scouts of America, other than a commissioner's visit to their meeting. To them, the commissioner may be the BSA. The commissioner helps represent the ideals, the principles, and the policies of the Scouting movement. The commissioner is a unit "doctor." In their role as "doctor," they know that prevention is better than a cure, so they try to see that their units make good "health practices" a way of life. When problems arise, and they will, even in the best unit, they act quickly. They observe symptoms, diagnose the real ailment, prescribe a remedy, and follow up on the patient.